New Hampshire based Sun And Moon Apps introduces Hero! 1.0, their new must-play game title for iPhone, iPad and iPod touch devices. In this game, you are the hero of your choice. Decide from a range of different characters as you journey through the unknown. You must find the key to unlock the dungeon door and escape. Along your way you must battle different types of enemies that can jump and shoot. The better you get with your sling blade the better your chances of escaping the dungeon alive. [prMac.com] Hooksett, New Hampshire - Sun And Moon Apps is pleased to announce the release of Hero! 1.0, their new must-play game title for iPhone, iPad and iPod touch devices. In the game you are the hero of your choice. Decide from a range of different characters as you journey through the unknown. You must find the key to unlock the dungeon door and escape. Along your way you must battle different types of enemies that can jump and shoot. The better you get with your sling blade the better your chances of escaping the dungeon alive. You are the hero! Now you must escape. The game play is fast, and the enemy AI is unpredictable. 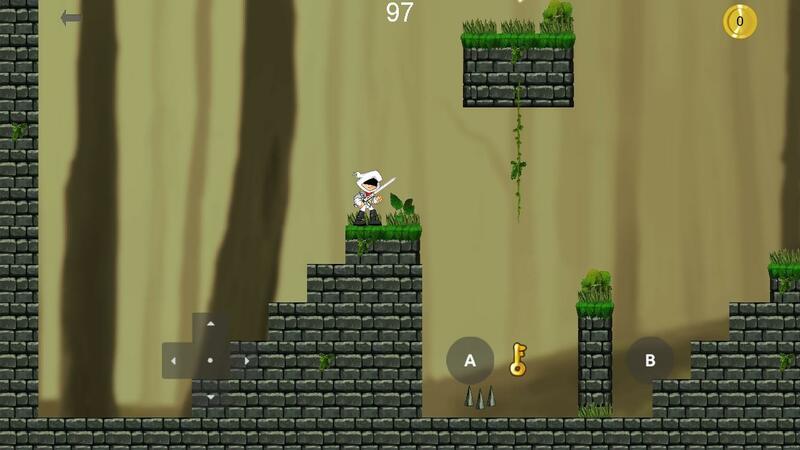 Each level is a new maze of spikes and obstacles you must overcome. Master your double jump to reach vines so you can climb to safety. Collect coins along your way without dying to improve your score. The stunning graphics and smooth animations inside Hero! leave the 16-bit platformers of yesterday behind. The techno style music and sound effects will lure you in and bring excitement and energy to the gameplay. Hero! 1.0 is Free, requires a 64-bit iOS device to play, and available worldwide exclusively through the App Store in the Games category. For more information, please contact Kevin Boucher. Sun And Moon Apps is a small development shop based in New Hampshire with a passion for mobile technology and usable apps. Copyright (C) 2017 Sun And Moon Apps. All Rights Reserved. Apple, the Apple logo, iPhone, iPad, iPad mini, iPod touch, and Mac are registered trademarks of Apple Inc. in the U.S. and/or other countries. Other trademarks and registered trademarks may be the property of their respective owners.